Parties do not have to be off-limits when you are following the Weight Watchers plan. These Weight Watchers Appetizers will give you healthier choices. These Weight Watchers recipes all have Freestyle SmartPoints figured for easy use! Finger foods are just plain fun to eat. My issue is that when I am eating finger foods is that it is hard for me to stop. It is really important that I make some recipes that are lower in points and I don't have to worry as much. When I started really looking for delicious, healthy appetizers I was amazed how many yummy Weight Watchers appetizers I found! 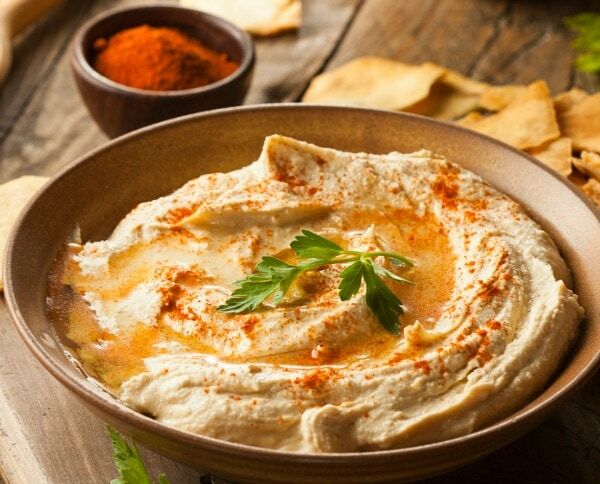 Instant Pot Hummus is zero points per serving! This recipe from Slap Dash Mom is delish. Instant Pot Black Bean Dip is also zero points. This dip is really versatile and can be eaten as dip or even in a burrito! Instant Pot Swedish Meatballs will be a favorite thanks to this recipe by My Crazy Good Life for 5 points. Jalapeno Popper Dip in the IP is a party fave for 1 point thanks to Slap Dash Mom. Everyone loves artichoke dip and this slow cooker artichoke dip from A Mama Blessed is only 2 Freestyle SmartPoints. The more types of bean dips the better. I love Simple Nourished Living's recipe for Slow Cooker Refried Bean Dip for zero points! Slow Cooker Sweet and Sour Meatballs for one point from You Brew My Tea is a must have for your party. Simple Nourished Living has the perfect finger food in these Mini Buffalo Chicken Bites for 3 points. Jalapeno Poppers are one of my favorites and this recipe from Free-WW-Recipes. Empanadas from Slap Dash Mom are a yummy finger food especially for Cinco de Maya parties and they are only 2 points each! Skinny Kitchen has a great 1 point finger food with these Chinese Chicken Salad Bites. I never get sick of bites and these Chicken Taco Bites from Midlife Healthy Living are great for 1 point each. Spicy BLT Cherry Tomatoes look beautiful on a platter and are only 1 point. Chex Mix is a finger food people won't believe is only 3 points. Cajun Zucchini Chips are zero points and won't last! I don't know if I have ever met someone who doesn't like bruschetta and this Strawberry Balsamic Bruschetta from Emily Bites is amazing and only 2 points per piece. Weight Watchers website has a delicious 1 point recipe for Hot Fiesta Dip. Sign me up anytime a corn dip is around! You Brew My Tea got it right with this Corn Bacon Dip for 3 points. How about some Ranch Dip for the party? Well The Holy Mess has a recipe for zero points! Points Kitchen has a Creamy Roasted Red Pepper Dip and I know it will be a crowd pleaser for 3 points. Easy Guacamole for only 2 points comes to us from Slender Kitchen. Everyone at the party will want to eat this! How about some zero point Salsa from Recipe Diaries. This is great to keep on hand all the time. 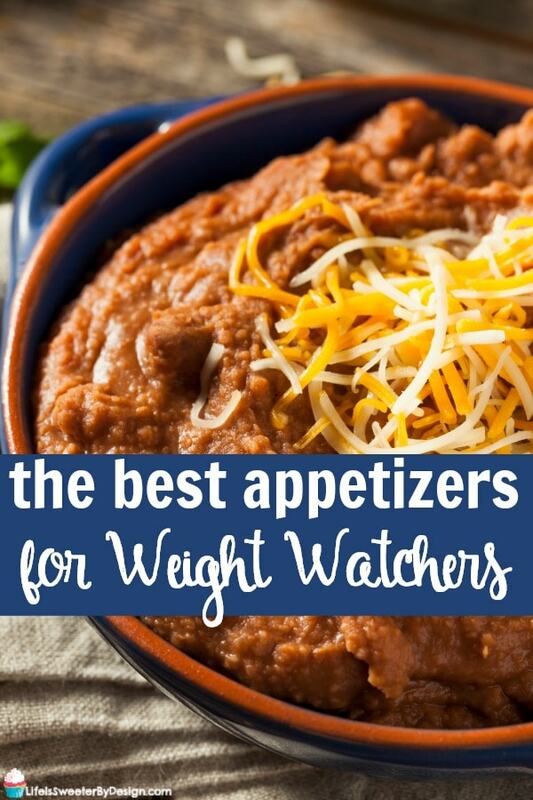 What are Your Favorite Weight Watchers Appetizers? 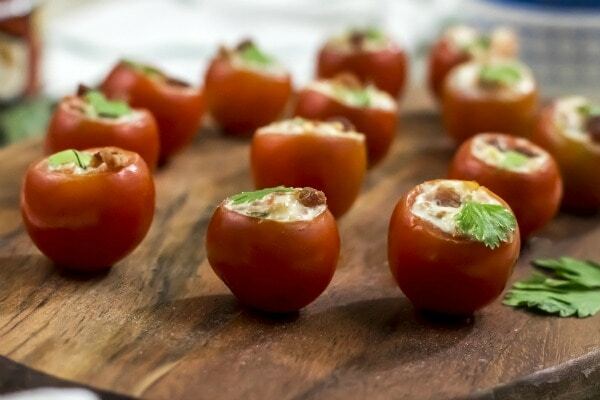 So what is your go-to appetizer recipe for parties so you stay on track with Weight Watchers? Which one of these recipes will you be making first? Be sure to sign up for my email newsletter…you will get some great info to your inbox each week!